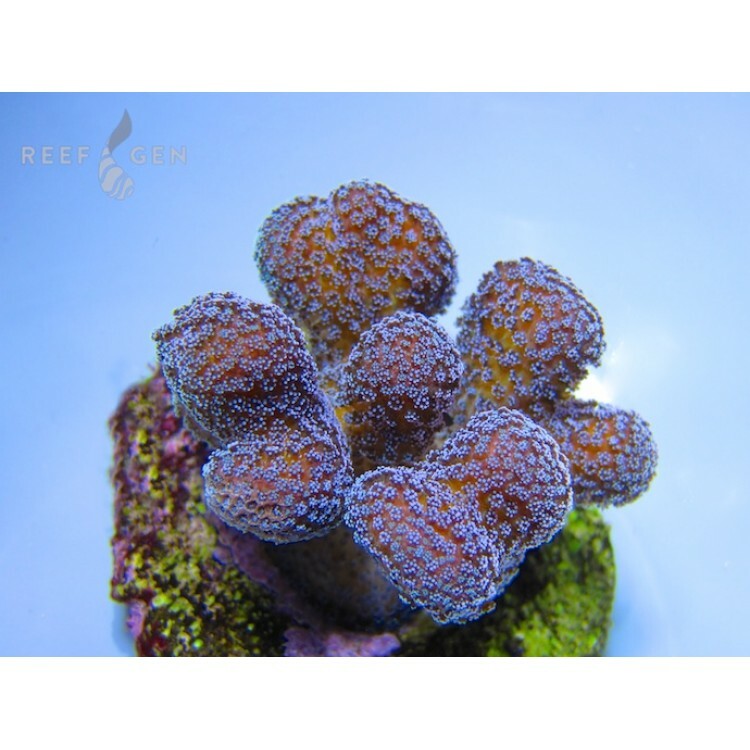 Blue polyps floating on a gold-green base. Joe’s tank features a 20” colony of this beauty. Blue stylos love blue light and low light. One of our fastest growing stylos. Very hardy.